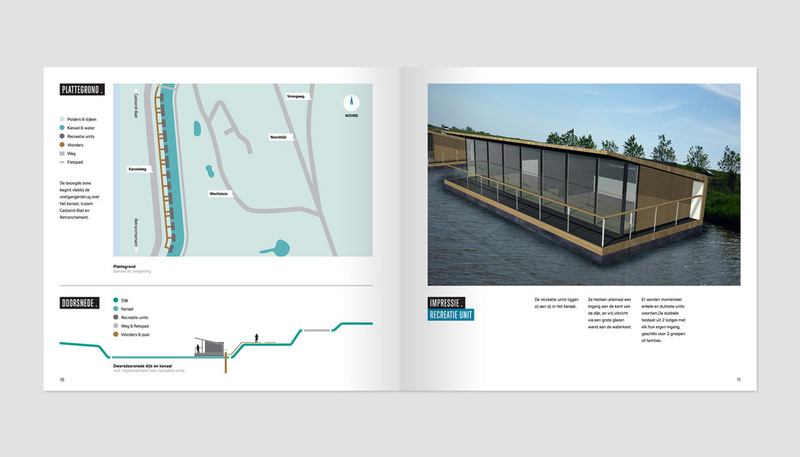 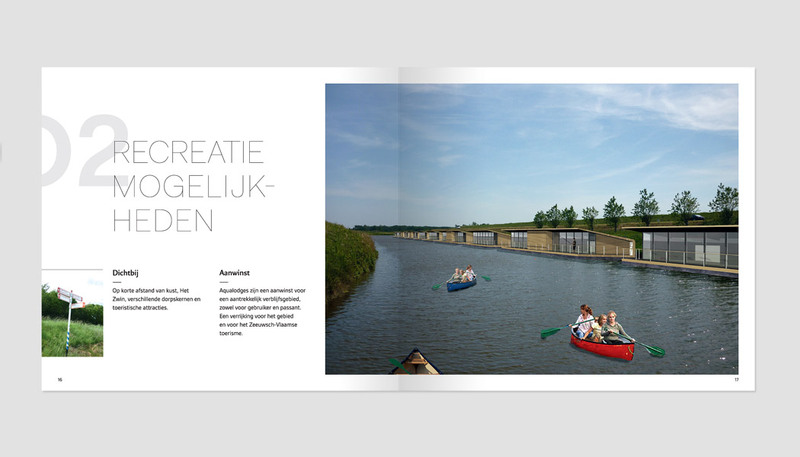 An environmentally friendly recreation concept: lodges in a canal in the south of the Netherlands surrounded by nature. 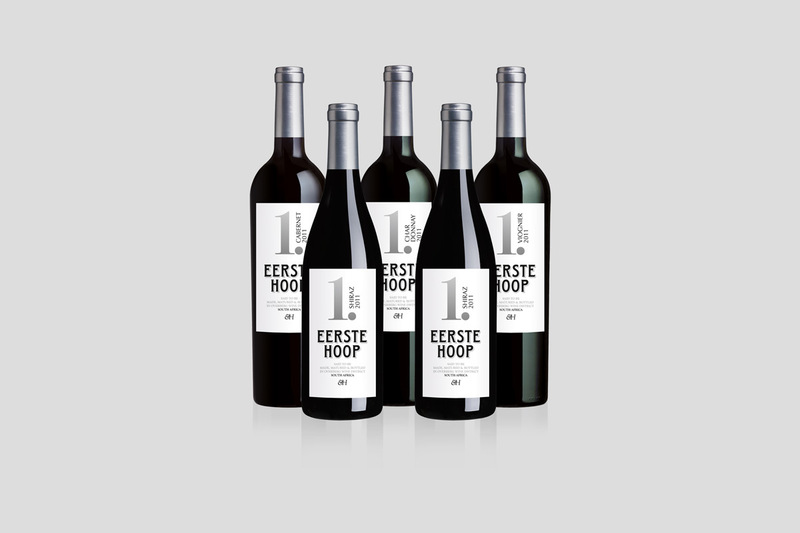 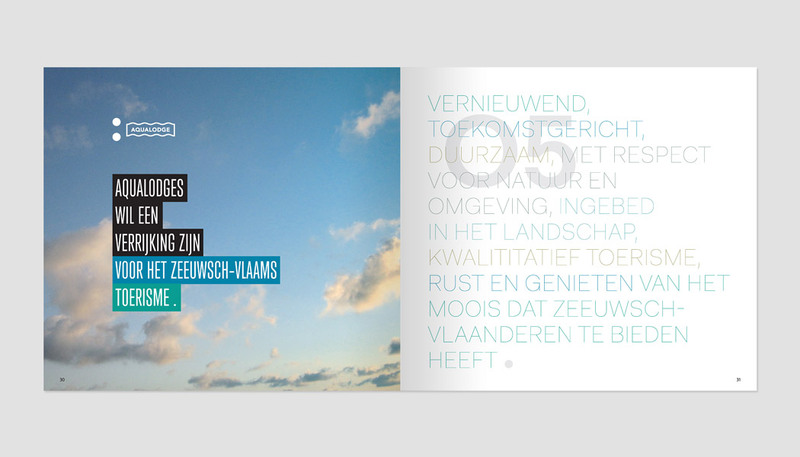 This brochure was made to explain the initial idea. 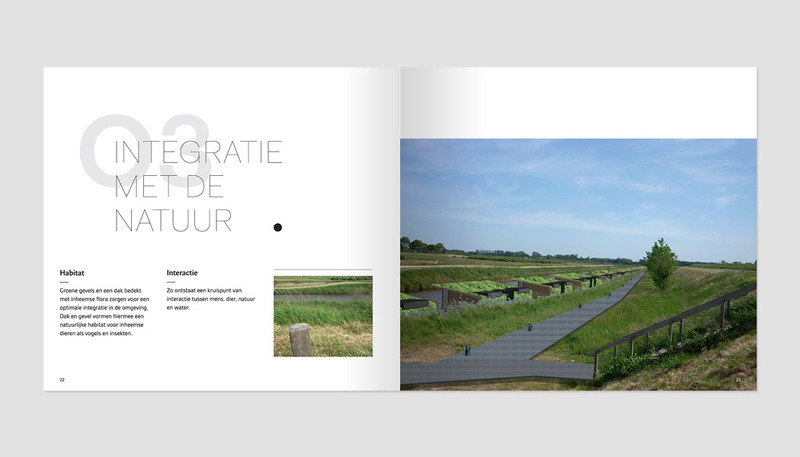 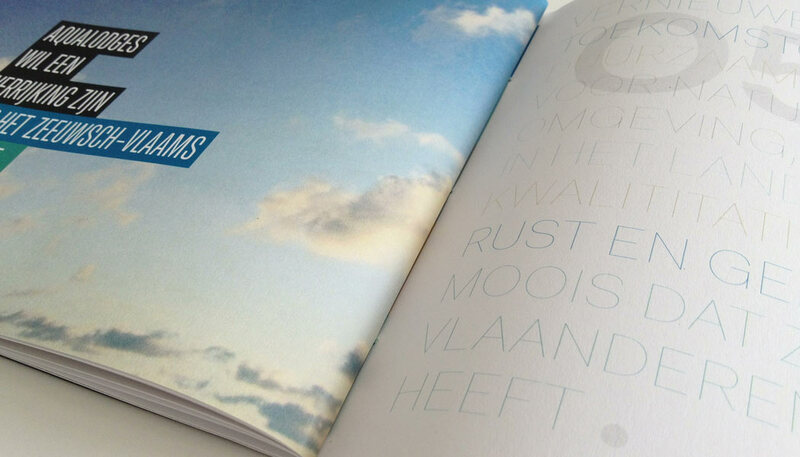 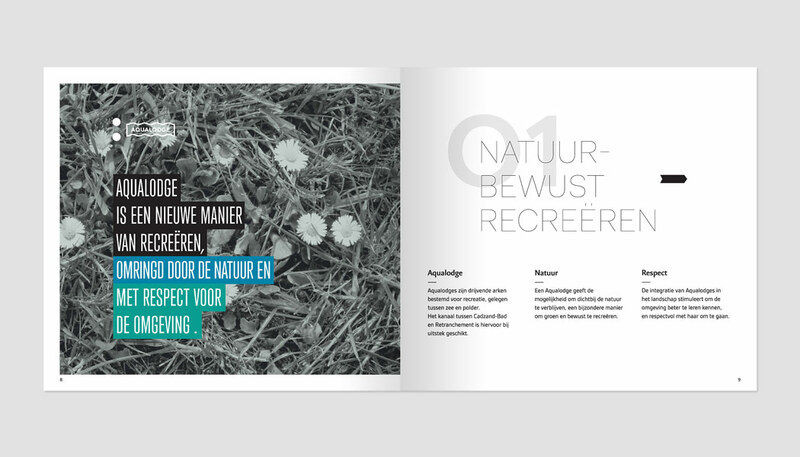 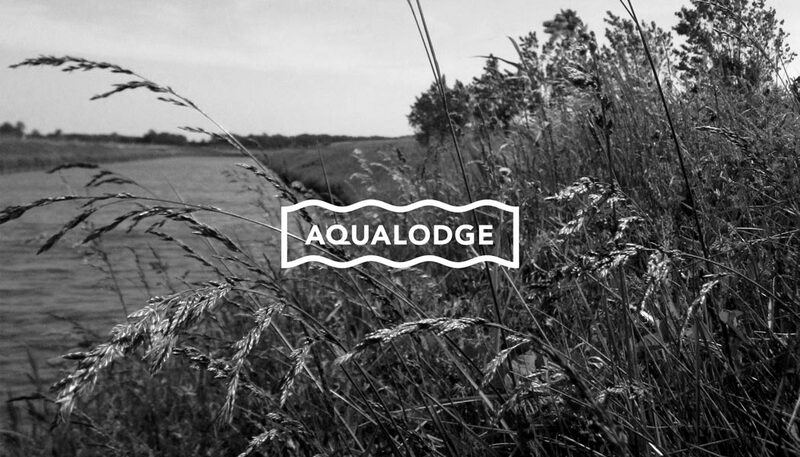 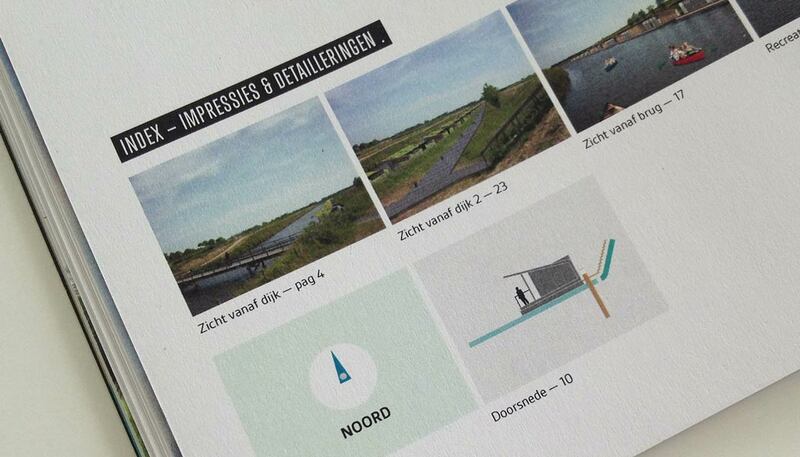 The lodges and collages were designed by Studio Anton Surink, ZZeen did the layout and graphics. 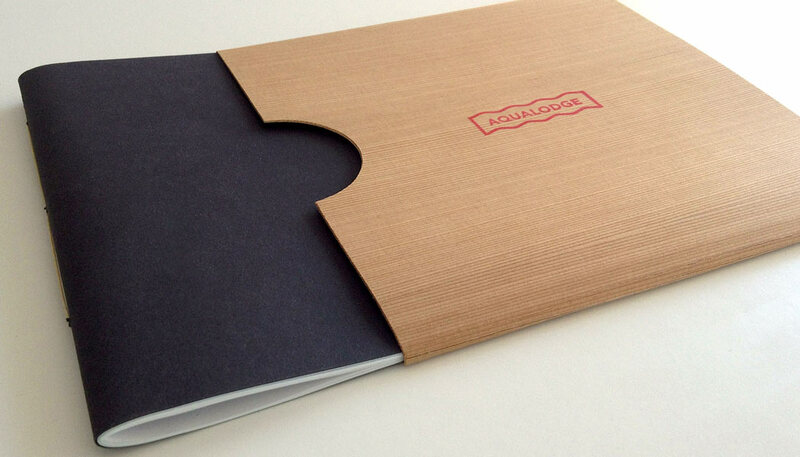 The result is a brochure printed on eco-friendly paper, kept in a veneer sleeve and finished with a red Aqualodge stamp.